Computer-assisted interviews: fact or folly? Some suggest that fraud examiners could use computerized "avatars" to collect basic information. Here we look at potential technological advancements and the implications of avatars in the fraud-fighting profession. You decide. The authors contend that little, if any, research exists on testing avatars for the interview component of fraud examinations. However, they're exploring the efficacy of applying avatar concepts from other fields to the anti-fraud profession. The views expressed in this article aren't necessarily those of the ACFE. — ed. At the Nogales, Arizona, port of entry, travelers step up to a kiosk and an "avatar" (a virtual computerized human) greets them. The avatar then asks them a series of basic immigration questions, and the kiosk assesses the interviewees' responses and behaviors for credibility. The system detects changes in physiology through sensors that can measure millimeter changes in pupil dilation, temperature changes in the face, and pitch and tone changes in the voice. Do people feel comfortable when interviewed by computerized human images? Is the information obtained via avatars reliable? The Nogales' port of entry avatar's script is fairly static — it asks a hard-scripted set of questions and doesn't ask follow-up questions — but UA reports that it's helped relieve the immigration agents' interviewing workload at the U.S. border. Perhaps, more importantly, UA says that interviewees seem to treat the avatar like a human by interacting with fairly natural social manners. While technology, obviously, can't completely automate and replicate the effectiveness of human interviewers, fraud examiners might be able to use it to perform some basic tasks. Could these tasks help fraud examiners collect basic information that will benefit subsequent fraud examination stages, or is the idea too far-fetched? Will information collected via avatar interviews be admissible in court? In this article, we'll look at the efficacy of avatars in interviews and techniques interviewers can use with avatars to possibly increase rapport-building capabilities and maximize information interviewees disclose to them. 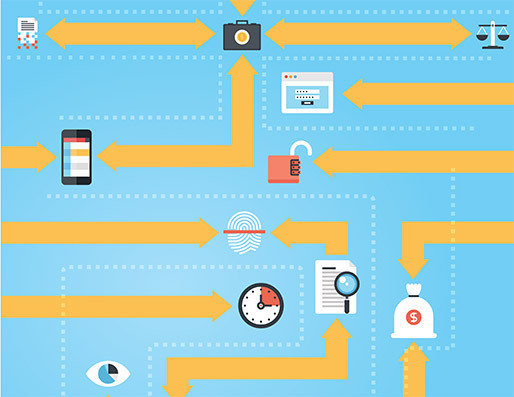 How can fraud examiners adapt this technology for their needs? How can avatars help fraud examiners work more effectively and efficiently? What are the implications of using computer-assisted technology? Our intent is to prime your thinking so you can explore this potential technological advancement. We're not certain of the viability and implications; research might find that using avatars during interviews in fraud examinations is useless. However, we feel it's time to at least explore the subject. Interviews are integral to fraud examinations. Fraud examiners work hard to master this process. In addition to many books the ACFE offers (i.e., Interviewing and Interrogation, 2nd Edition, by Don Rabon, CFE, and Persuasive Interviewing: A Forensic Case Analysis, by Don Rabon, CFE, and Tanya Chapman), many ACFE seminars focus on making attendees better interviewers. Interviewers certainly become more effective with experience. 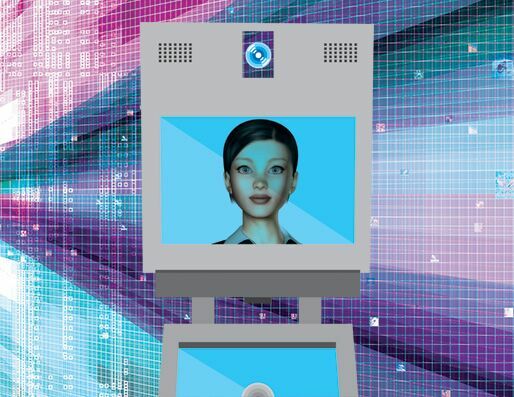 However, could avatar-based automated interviewing augment fraud examiners' efforts? Consider this scenario. A subject might have taken inventory from his place of employment. The fraud examiner, who's a loss prevention expert, tells the subject that he'll be collecting some general background information "via computer" before he spends any time with the fraud examiner. The subject enters a room and sits at a desk that contains nothing but a computer. The fraud examiner is in the next room monitoring and using a computer to video record the subject's responses. A human-like face appears on the computer screen and provides instructions to the subject. The avatar repeats the fraud examiner's statement to the subject that the purpose of the meeting with the avatar is to collect some basic information. The avatar then asks a series of questions. (The avatar will ask the same questions of all subjects related to the case.) Throughout the 10- to 15-minute session with the avatar, the fraud examiner begins to build a profile of the subject. He identifies body language changes as the avatar asks questions. He doesn't need to take notes because he knows he'll be able to watch this interview multiple times. When the fraud examiner later interviews the subject in person, he can compare the avatar interview to the subject's behavior. In our opinion, the avatar interview can assist the interviewer with his calibration and provide him with a wealth of information that he can use when he begins the "actual" interview. The first set of questions tends to be the same in every initial interview, so an automated system might be proficient in gathering boilerplate information. In this course, you will learn how to effectively use information from employees to develop an intelligence led response to the detection of fraud and corruption through the strategic use of data analysis, special site reviews and advanced interview techniques. You’ve learned how to stop fraudsters from hacking your smartphone. But do you know how to determine whether each mobile recording you make is legal? Get practical experience in conducting internal investigations at this two-day seminar in Cleveland, OH, August 10-11, 2015.